First, cut the butter into pieces, and place in the oven 10 mins, light on. Now, rinse the asparagus and cut the white parts, then boil or steam them 10 mins. 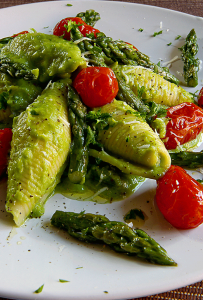 After that, blend the asparagus along with 1 tbsp of cooking water and 4 tbsp of extra virgin olive oil. 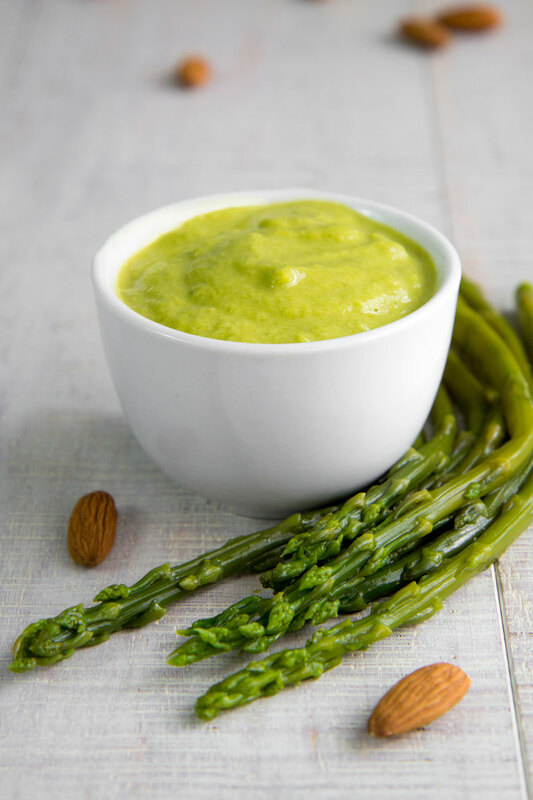 Sift the asparagus cream, then add salt as needed and pour into a bowl. Pour the butter into a bowl and knead it with a spoon until smooth and consistent. 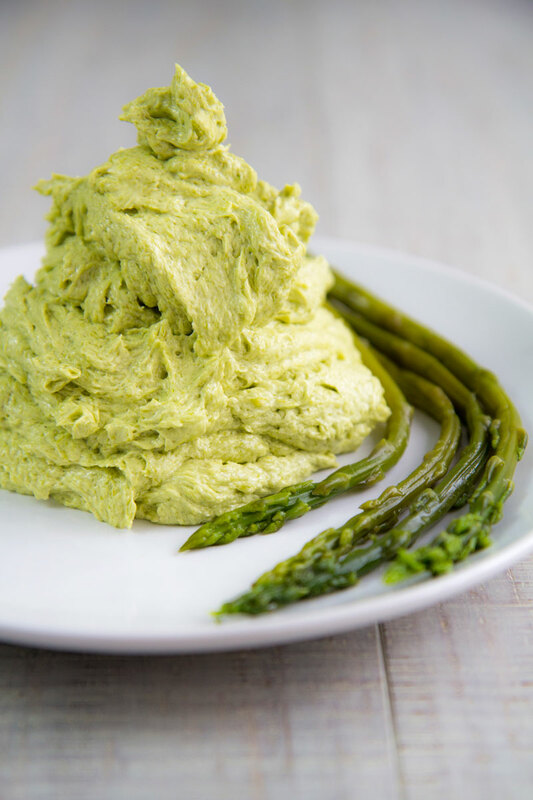 Finally, add the asparagus cream a little at time whipping with an electric mixer until fluffy. 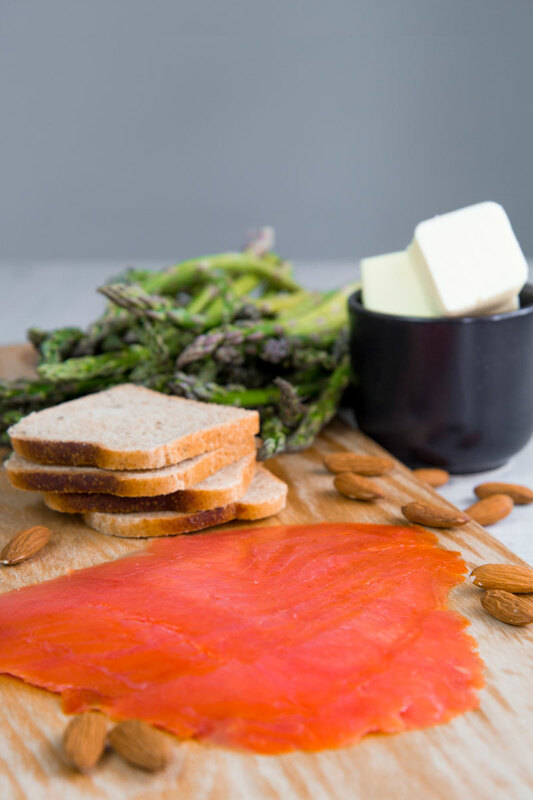 Reduce the salmon into strips then toast the tartine bread lightly. 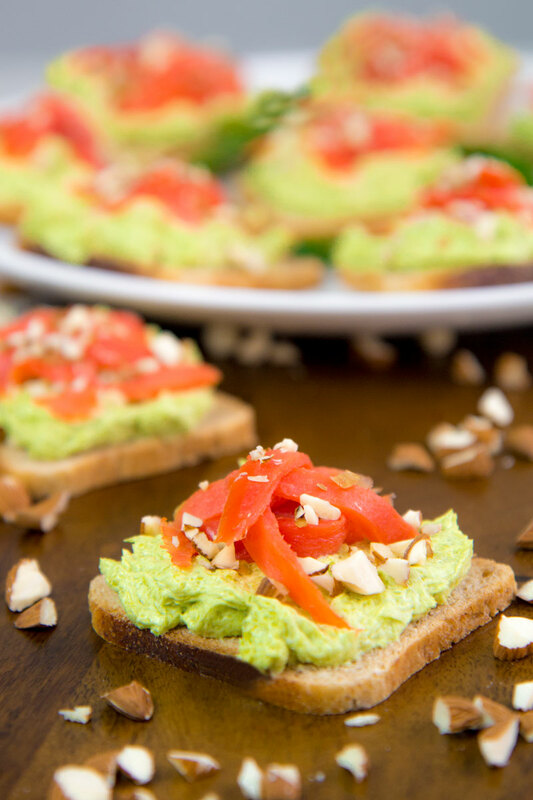 Finally spread the asparagus butter over the tartines and garnish with salmon strips, and crumbled almonds.